In 2006 Norman Lebrecht got it wrong when he wrote "in fact, no label had issued a (Beethoven) symphonic cycle in three years, and none was likely to do so again". 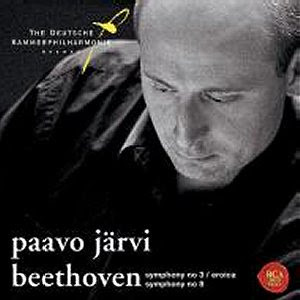 In 2008 Lebrecht is proved wrong again by Paavo Järvi's acclaimed new cycle with the Deutsche Kammerphilharmonie Bremen on RCA. Hopefully the CEO of the Bremen orchestra hasn't reviewed any of Norm's books in the past. The Minnesota Orchestra, too, is in the midst of recording a Beethoven cycle, almost completed, for the BIS label. Several of the discs have already been issued, to some acclaim.